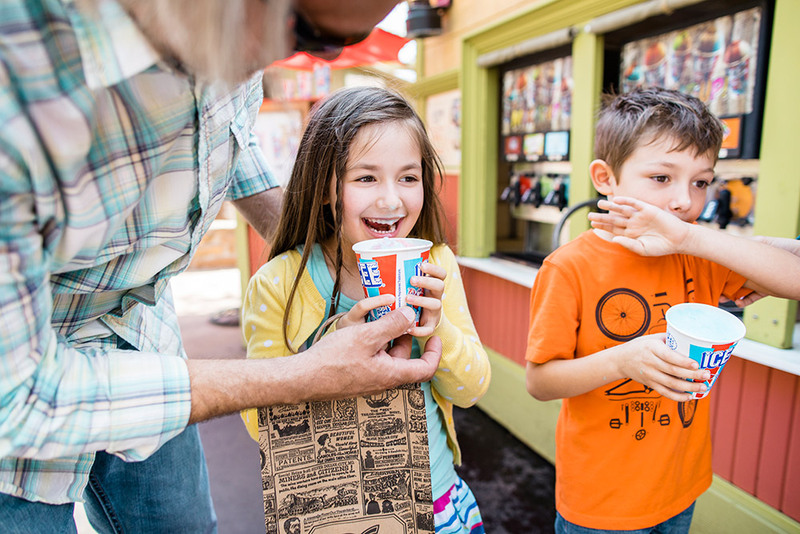 There are lots of great ways to cool off during your summer visit to Silver Dollar City. You can ride the rapids of Lost River of the Ozarks, enjoy a serious splashdown on American Plunge or get completely drenched in an epic water battle on Tom & Huck’s RiverBlast. There are also delicious ice-cold summer treats around every corner to help you find your chill as summer heats up. These perfect little spheres of flavor are popular all season long, but they are especially delightful as a summer treat. 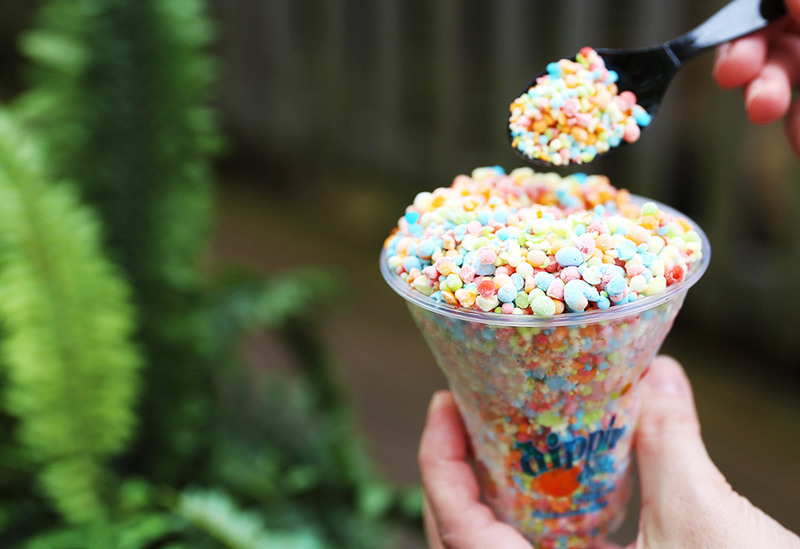 Dippin' Dots® stands are located in several areas of the park including on Valley Road across from the new Traveler's Stop, in The Grand Exposition, Fireman's Landing® and at the bottom of Hill Street near the Lumbercamp. The classic flavor of lemonade is one of summer’s all-time favorite beverages, but frozen lemonade is next-level delicious.You can even infuse it with a variety of flavors including strawberry, grape and more. 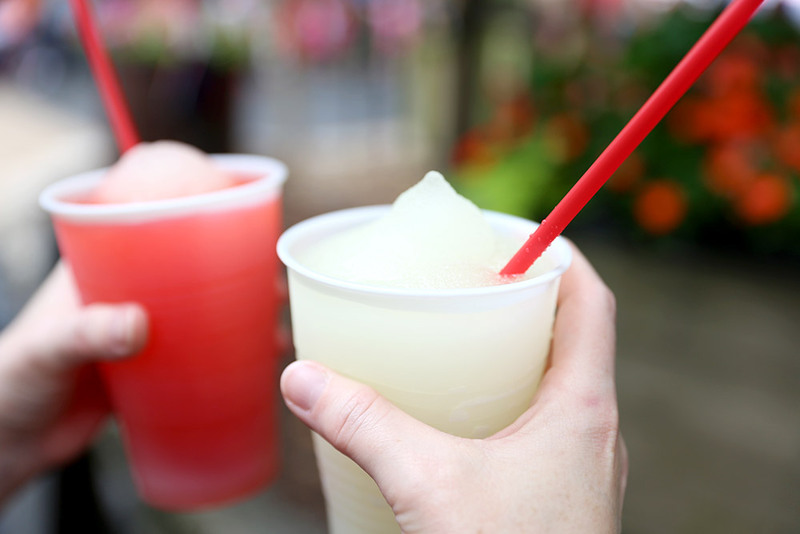 You can find Frozen Lemonade on the Square, on Valley Road near Traveler's Stop and also on Valley Road across from Tater Twist, at Echo Hollow® Amphitheatre and at the bottom of Hill Street near the Silver Dollar Saloon. Is there anything like home-churned ice cream? 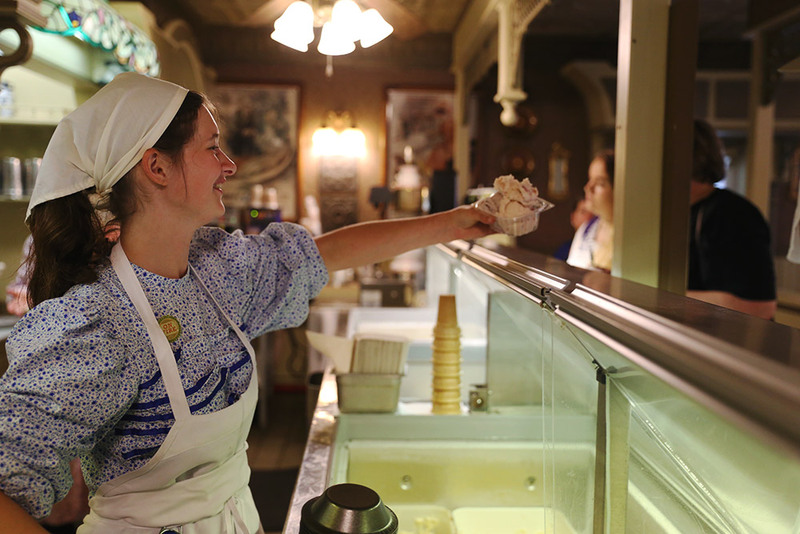 At Hannah’s Ice Cream Factory located on the Square, each tub of rich and smooth ice cream is handcrafted on site in a old-style 4-bucket churn with flavors including mint chocolate chip, strawberry, blackberry and the new Time Traveler™ flavor from Hiland Dairy. If soft-serve is more your style, head down to Cakes & Cones across from Red Gold Heritage Hall or Cokes & Floats on the Riverfront for a cool and creamy cone to enjoy! This refreshingly frosty beverage comes in a rainbow of flavors that will dazzle your taste buds. You can get your ICEE® at The Grand Exposition, on the Riverfront near Dockside Grill, under the train trestle across from Crossroad Pizza and on Hill Street by American Plunge. No matter what treat you choose, we hope you have the coolest visit ever! A Star-Spangled Summer: Just For Kids! Don't Miss The Boat - Just 4 Princess & Pirate Cruises Left!